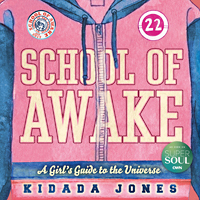 School of Awake was recently featured on Super Soul Sunday on the Oprah Winfrey Network (OWN) in a “Super Soul Original Short” immediately following an in-depth interview with another New World Library author, Eckhart Tolle, author of the groundbreaking book The Power of Now. You can watch Oprah’s interview with Eckhart, followed by the School of Awake film, here. Just log in with your preferred TV provider.